We’re heading down the home stretch of 2016, which means there are only a handful of Showcases left. 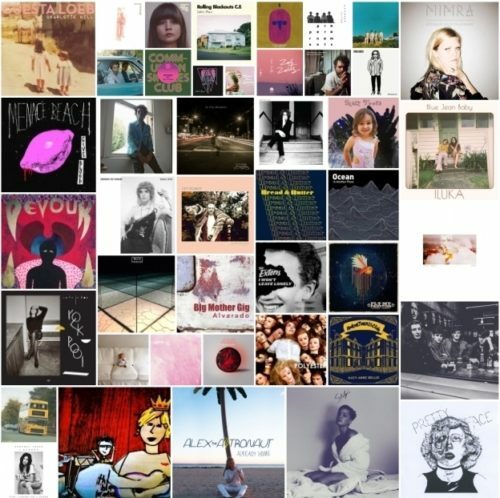 On the 46th edition of the Weekend Showcase, forty-nine (49) songs are featured. As is always the case, the music features artists who represent a bevy of countries. Specifically, 12 flags are being waved today, including: Australia, Canada, England, France, Germany, Iceland, New Zealand, Norway, Spain, Sweden, the United States, and Wales. Supporting labels: The A&R Department, Akira Records, Atlantic Records, Carpark Records, Chiverin, Communion Music Singles Club, Crooked Paintings, Drag City, Flying Nun, Ghostly International, Heavenly Recordings, Ivy League, Killroom Records, Loop Recordings, Loose Music, Mama Bird Recording Co., Memphis Industries, Oskar Recordings, Roll Call Records, Royal Oakie Records, Slumberland Records, SubPop, Super Secret Records, ToothFairy, and Tough Love Records.